The 'Desert Island List' | Gardens Alive! A. Thank YOU, Tom—it's a sensational question. Now, I was at first skeptical that you were in as remote (or toxified) a region as you say. But when I clicked on the 'store finder' icons at websites for organic products sold at retail, it became clear that you were not exaggerating. Barren and bereft was all I got. As I said in my response to your original email about a month ago, your own short list of three essentials is a good start; and we'll get to them in a minute. But the most important essentials aren't really 'products'. Organic gardening involves more than just substituting a natural herbicide for frog-and-toad-killing Roundup. An organic system reduces stress on plants so that they're not as attractive to pests, and helps them produce the naturally-occurring controls they use for their own defense when they aren't overwhelmed by insect and disease attracting chemical salts like Miracle-Gro and Osmocote. That's why anyone making such a wise transition should begin by building raised beds framed with stone or non-toxic wood; fill them with the richest, compost-enriched soil you can find and then never step into the beds. We always stress that raised beds should never be wider than four feet so that you can reach all the way into the center of the bed without stepping on the nice loose earth you're created. It's amazing how much healthier plants are when their soil isn't constantly being compacted by the feet of the grower. Here's a PREVIOUS QUESTION OF THE WEEK with lots of raised bed building info. First-timers should buy some compost to begin with; then build or buy whatever they need to start creating their own Black Gold; and get a compost tea brewer, a device that forces extra oxygen into water in which solid compost has been suspended in a porous container. The resulting oxygenated compost tea makes an excellent mid-season feeding boost, and it's the absolute best plant disease preventer and fighter you can spray on your plants. Here's a PREVIOUS QUESTION OF THE WEEK with some compost tea info. My strong preference here is the fish and seaweed mix; that's what I use to give my plants a little boost. In addition to both components being excellent plant food, the seaweed portion conveys protection against many forms of plant stress, and even allows plants to tolerate slightly colder temperatures that they normally could. 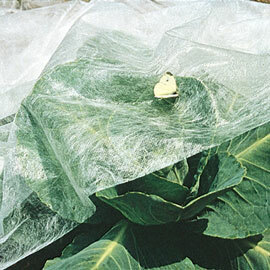 These sheer spun polyester blankets offer complete protection against insect pests while still allowing light, air and water to reach your plants. They also allow you to get started earlier in the season and continue later. Texas Tom: In warm regions like yours, you could harvest huge amounts of lettuce, spinach and other cool-season crops all winter long under their protection. Bonus: They're incredibly lightweight, so shipping costs are minimized. 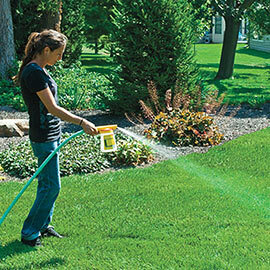 A perfect non-toxic pesticide for use against any pest you can see and hit with the spray. It is not a detergent; you must coat the pests with the soap to kill them. Another great non-toxic pesticide effective against any pest you can see and hit with the spray. As with soap, it is not a deterrent; you must coat the pests to kill them. Bt is short for Bacillus Thuringiensis; the K stands for Kurstaki, the strain of Btv that is effective against all pest caterpillars. (Although there are a few other Bts out there, this is the old original one, and it's often referred to simply as "Bt", whereby those others, like the BTI that prevents mosquito breeding in standing water, always get three letters in shorthand references.) Spray the leaves of your plants with Bt and any caterpillars that then try and feed on those sprayed leaves will be killed. This IS a deterrent; the pest doesn't need to be there when you spray; and it ONLY affects caterpillars; and ONLY caterpillars that eat the leaves of your plants. Here's a PREVIOUS QUESTION OF THE WEEK with lots of caterpillar and Bt info. This mined powder from ancient seabeds looks like flour, but is very sharp on a microscopic level. Spread it around the base of your plants and it prevents slugs, cutworms and other soft-bodied pests from reaching the plants to do damage. 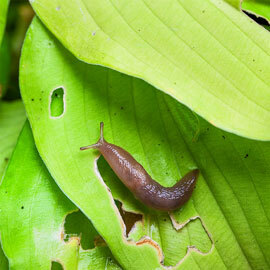 If slugs are your worst garden foe, get one of the new Iron Phosphate slug baits as well. The petrochemical mindset is to spray toxins when weeds appear, but a nice organic mulch will prevent most weeds to begin with. Then use 'mechanical removal' as your first line of attack against ones that show up anyway. Get a variety of head styles and keep them all sharp. Here's a PREVIOUS QUESTION OF THE WEEK with lots of important mulching info. When spray a weed you must, smothering soap is a great choice. For instance, our questioner, Tom in Texas, probably has to deal with fire ants; so his choices here might be a d-Limonene product like Orange Guard for immediate knockdown of the mounds and one of the spinosads for long-term control. And you don't need fire ants to have these products on hand; both are excellent all-purpose non-toxic insecticides. As am I.